(August 2006) I have always been fascinated by the work of animators and confess I fell in love with the genre at a young age. One of my first memories was as a four-year old child seeing Disney’s “Snow White” for the first time. My dad was stationed in Yokosuka, Japan and we lived on the Naval Base. Movies were a major escape. We didn’t have television—yes, I’m a tad older than I look—but we did have major adventures on the silver screen. I can still remember being enthralled with “The Vikings” starring Kirk Douglas and Tony Curtis. I also remember seeing a small film shot in our city. It was called “Escapade in Japan,” and starred Jon Provost. It wasn’t until we returned to the states that I learned he was in TV’s “Lassie,” with June Lockhart. Seeing our city on the big screen and the locations I had come to know as a child only drew me further in to the world of cinema. It was the witch in “Snow White,” that stayed with me, though. And, I remember being panic-stricken after seeing “Bambi” and trying to comprehend the death of the mother. The power of these images remains burned in my memory. Over the last few years, I’ve had the distinct pleasure of working with the Walt Disney’s Feature Animation Division. We were fortunate to host the United States Premiere in 2003 of “Destino” a film that Walt had originally envisioned as a part of a sequel to “Fantasia” in the late 1940s. He commissioned Salvatore Dali to create the story and storyboards. But after a year’s worth of work, the project stopped. It was infamously known over the years as the “Disney that never was,” and would have remained that had it not been for Walt’s nephew, Roy Disney. In 2001, Roy commissioned one of the lead animators in Disney’s former Paris studios to complete Walt’s dream—and Dali’s vision. It took over two years and, the results were amazing. “Destino” was definitely Disneyesque and without question it was Dali. Both styles were synthesized into a new creation that clearly illustrated the power of collaborative art. The storytelling genius of Hans Christian Andersen is vividly combined with the artistry and imagination of classic animation in this luminous and entertaining new animation. Directed by Roger Allers (“The Lion King”), the Walt Disney Pictures’ short utilizes a unique watercolor look, a stylized color palette, and rich hand-drawn animation to tell the story of a poor young girl who finds visions of happiness in the fiery flames of the matches that she lights to keep warm. Now here’s where the Disney magic works. The story is without question a downer. It’s actually depressing and you have to wonder how happy Mr. Andersen really was with his life. Yet, in the hands of Roger Allers, the story is given new life and greater depth. It is uplifting, not depressing. The choice of music: Alexander Borodin’s “String Quartet No. 2 in D Major: Third Movement: Nottorno (Andante),” is so impassioned that it lifts the story to a poignant height that cannot help but touch any who see it. Renowned Danish author Hans Christian Andersen first published his story “The Little Girl with Matchsticks” in 1848 in his fifth volume of “Fairy Tales.” The story has been the subject of a 1928 live-action short by Jean Renoir, a 1937 animated short produced by Charles Mintz, a 1985 TV movie directed by Michael Lindsay-Hogg, and a 1987 musical feature starring Roger Daltrey and Twiggy, among others. Other versions of the classic story have been adapted for opera, Japanese manga comic books, and even an off-Broadway musical. The story has been around. The Disney animated production of “The Little Matchgirl” follows on the heels of two of the Studio’s recent Academy Award®-nominated efforts – “Destino” (2003) and “Lorenzo” (2004). The filmmakers felt that a watercolor look would best complement the mood and emotion of the film, and even found an innovative new way to paint the characters with a watercolor texture that would unify it into that stylized world. The use of color became an important element in telling the story, with a painterly gray and white monochromatic palette used for the harsh reality of the girl’s everyday world, and warm rich colors reserved for her visions of an idealized life. According to Don Hahn, “’The Little Matchgirl was one of those stories that was just right for a shorter format. Some stories can’t sustain a 75-minute, three-act, multiplex kind of release, and yet they’re still valid to tell. Sometimes these kinds of films are as completely powerful as something that does last longer. The length is not to be confused with the impact. In 2001, shortly after the completion of “Fantasia/2000,” Roy Disney suggested a new animated film that would spotlight music from around the world. Hahn showed Allers several of the ideas that had been suggested. Roger Allers (Director/Story Adaptation) earned a place in animation and film history with the 1994 release of the Academy Award-winning blockbuster, “The Lion King.” The film, which marked his directorial debut, became a worldwide box office sensation. Following the unprecedented success of that film, Allers adapted the screenplay of the film for the Tony Award-winning Broadway musical. He received a Tony Award nomination for best book of a musical. He is currently directing his first all CG animated feature “Open Season” for Sony Pictures which will be released in September 2006. Roy Edward Disney (Executive Producer) has been a major influence on the art of animation for many years, carrying on the legacy built by his uncle, Walt Disney, and his father, Roy O. Disney. From 1984 through 2003, he served as chairman of Walt Disney Feature Animation, and helped to guide the division through one of its greatest artistic renaissances with such animated favorites as “The Little Mermaid” (1989), “Beauty and the Beast” (1991), “The Lion King” (1994), “Tarzan” (1999), “Fantasia/2000,” and “Lilo & Stitch” (2002), among others. Disney took a hands-on role in creating “Fantasia/2000” and served as executive producer on that daring and experimental film. He served in a similar capacity on the 2004 Oscar® nominated short, “Destino,” bringing to fruition a long-dormant project initiated by Walt Disney and Salvador Dali. A graduate of Pomona College, Disney began his association with The Walt Disney Company in the early 1950s. Disney served as vice chairman of The Walt Disney Company from 1984 through 2003. His current title is director emeritus of the board and consultant to the Company. From “The Little Mermaid” to “The Little Matchgirl,” Hans Christian Andersen’s classic fairy tales have been enchanting readers for over 170 years. He published his first volume of fairy tales in 1835, and went on to complete several additional books during the course of his lifetime. Among his better known tales are “The Snow Queen,” “The Princess and the Pea,” “The Emperor’s New Clothes,” “The Ugly Duckling,” “The Steadfast Tin Soldier,” “Thumbelina,” and “The Red Shoes.” Walt Disney himself was one of Andersen’s biggest fans, and even paid tribute to the Danish author’s storytelling genius on his “Disneyland” TV series (The episode, “From Aesop to Hans Christian Andersen” aired in 1955 during the show’s debut season). One of the biggest challenges facing director Allers and his collaborators on “The Little Matchgirl” was how to faithfully and sensitively deal with the story’s tragic ending. Throughout the course of production, a variety of different endings were explored and at least four were animated in one form or another. Hahn recalls, “Even though it was somewhat controversial and it took a bit of convincing to wind up where we did, I’m proud of the fact that we stuck with Andersen’s original ending. Roger really defended this approach, and had a strong vision that this was a big part of the story he wanted to tell. At its heart, this is a story about a girl who has nothing and is trying to make her way in a very adult world that pays no attention to her. In the end, she finds great hope in her dreams, and there’s nothing more Disney than that message. Adding to the unique look, emotional impact, and aesthetic appeal of “The Little Matchgirl” is its design, art direction, and animation. Allers had a specific look in mind when he joined the project, and he enlisted the talents of art director Mike Humphries and a team of visual development artists to help him achieve the desired effect. Early contributions by veteran artist Hans Bacher (who had been the production designer on Disney’s “Mulan” and provided some character designs for “The Lion King,” among others), and animator/character designer Randy Haycock, laid the groundwork for the film’s art direction. 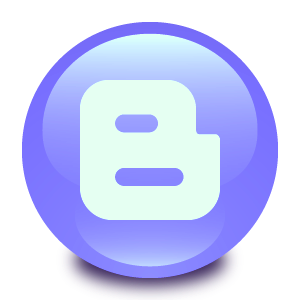 The art direction for the film also called for an innovative use of colors. The portions of the film that take place in the girl’s harsh, cold workaday world are portrayed in monochromatic, almost black-and-white, imagery. With the exception of some flesh tones, color is used minimally throughout the entire film, except for the dream sequences. Under Bossert’s direction, the film used a variety of traditional and computer-generated effects. Four different types of snow, including actual effects from the Disney animated classic “Bambi,” bring a sense of chilling cold to the film. The film also called for several crowd scenes, and Bossert and the effects team found stylish ways to accomplish this. Up to seven different styles of humans, a mixture of men, women and children, were animated on a walking cycle. Costume changes, and different color models, brought the variations up to more than 30 distinct characters. By re-sizing and re-positioning the characters within the CAPS system, the filmmakers were able to create crowds of dozens of unique individuals populating the scenes. Allers had never been very fond of that piece of music and the producers started looking for other possible musical choices. Borodin’s “String Quartet in D Major” was suggested. Given that the story is set in Russia, in a mythical St. Petersburg, the music seemed much better suited. Once the story was set, and the film had been boarded, Hahn and Allers approached the Grammy Award-wining quartet about making a new recording of the music for the film. The film was completed in early 2006 and is just now making the rounds at the film festival circuit. It is a unique and special piece of work that touches the viewer deeply and with emotion. Watching “The Little Matchgirl,” I was reminded of the power of art and the medium that would eventually become such a singularly part of my life. The images that touched me as a child are still a part of me and continue to swirl and spark the imagination. 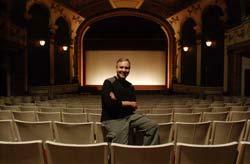 “The Little Matchgirl” has its East Coast Premiere at the 10th Annual Rhode Island International Film Festival. The film will be screened on Tuesday night, August 8th as part of the Festival’s Opening Night Gala. The program will kick off at 7:30 p.m. The Rhode Island International Film Festival runs Aug. 8 to 13th; most tickets, other than special events, are $10. 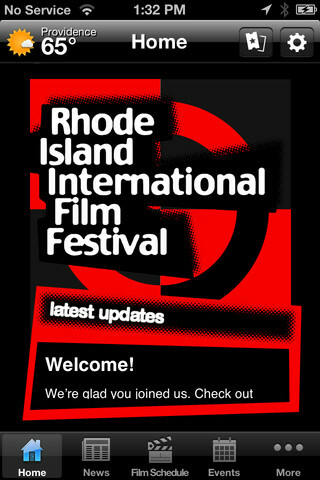 The Festival Web site is www.rifilmfest.org and the phone is (401) 861-4445.